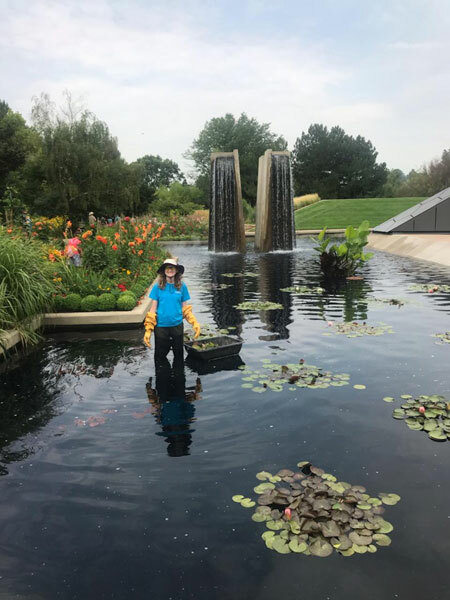 My name is Jocelyn Schilling, and I have been a groundskeeper here at Denver Botanic Gardens for six months now. My main duties are using the leaf blower to clear the pathways as well as sweeping, raking and other things to keep the Gardens clean. I have Asperger’s Syndrome, a form of high-functioning autism, which makes social interaction harder for me than the typical person. Before I worked here at the Gardens I was a shy individual who had dreams to live on my own, travel the world, and have career researching plants and animals. However, in my current situation I was starting to doubt that it was even going to happen. Just thinking about taking the steps to reach these goals was terrifying, and I did not want to deal with it. Thus I would hide in my room and play video games. This frustrated me because I was getting nowhere in life. I longed to have a purpose and be successful, but I didn’t know how. When I graduated from Front Range Community College I wanted to get a Job. 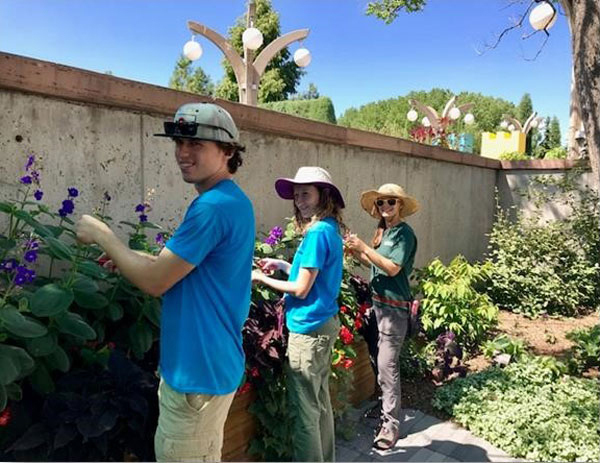 My job coach had told me about a position at Denver Botanic Gardens, and I thought that would be amazing, but would they really want to hire ME? All I had was an associates degree and a two-year Greenhouse Management Certificate. From the moment I started here, everyone was so welcoming and happy to have me here and willing to show me how to do things. As time went on I got more used to the job and became familiar with the routine. I frequently got overwhelmed with praise from everyone on my work. I couldn’t believe it! I had never been given any feedback in my past work experiences let alone this much praise. This made me feel that I had an important role here and I was needed to make this an even more beautiful place. There are so many amazing things I learned from working at the Gardens this season. One of my favorites was trimming Tamamono shrubs in the Japanese Garden, helping to manage the water gardens, and more recently learning how to properly plant bulbs. I would like to thank my job coach and friend Natalie Wetzel for supporting me throughout this entire season and connecting me with the Gardens. I would also like to thank my supervisor Angie Andrade for taking a chance on hiring someone with Asperger’s when others would not have done so. Finally, I want to thank everyone who let me help in their garden, show me new things and make this a remarkable experience I won’t soon forget. I am sad that my time at these beautiful gardens is coming to an end. This has been the best experience of my life thus far, and I am so blessed to have been able to work here. I leave here with valuable experiences, new relations and a newfound confidence that I can accomplish my dreams. Thanks again to all of the wonderful staff for everything. Hope to see you next year. Jocelyn, we were the lucky ones! Having you here was a delight. It was wonderful working with you. Never doubt yourself. You've got what it takes young lady. We hope you'll come back! I hope we will see you again in the spring, Jocelyn! I appreciated your help in the water gardens and look forward to showing you how we germinate the Victoria seeds in the greenhouse!